Quiz: How long do you need to study for the GRE? Welcome to our GRE Test Dates Quiz! When and where the GRE exam is offered. How to register for your chosen GRE test date. Which factors to consider before selecting your GRE date. Once you’re familiar with the importance of choosing your GRE test date wisely (it can absolutely affect your score! ), it’s time to take the quiz. Don’t worry—this is not a diagnostic quiz! This five-question survey considers the basic factors that determine your GRE preparedness. With that information, we determine how much time you need to prepare before can confidently take the GRE exam. It’ll only take about two minutes to complete, and your answers (plus some helpful next steps) will appear on this page. If you have questions about your results, please leave a comment on this post and we will get back to you with our best advice. How long do you need to study for the GRE? 1. When do you want to take the GRE? 2. How many hours a week do you have to study for the GRE? 3. 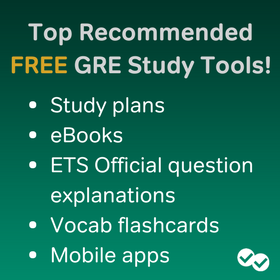 Are there any weeks where you won’t be able to study for the GRE (vacation, exams, etc.)? 4. 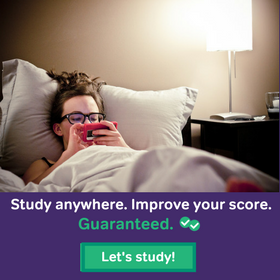 How much QUALITY study time have you already devoted to the GRE? 5. How far away from your ideal score (in the section most important to your program), using the 130-170 GRE grading scale? Magoosh students score 12 points better than average on the GRE. Click here to learn more! GRE vs. GMAT – Which Should You Take? 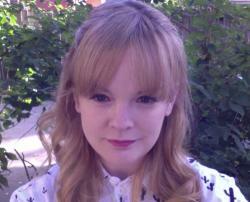 Rachel is a High School and Graduate Exams blogger at Magoosh. She has a Bachelor of Arts from Brown University, an MA from the Université de Paris VII, and a PhD from University College London. She has taught test preparation and consulted on admissions practices for over eight years. Currently, Rachel divides her time between the US and London. Follow Rachel on Twitter, or learn more about her writing here! 14 Responses to Quiz: How long do you need to study for the GRE? Hey I am trying to purchase the GRE premium account from India but my payment was declined many times ,I checked my account and it has sufficient balance and yeah I payed by debit card .Is there any alternate way of making the payment of 111$ please help me .I dont have a paypal account either . I’m going to forward this message on to our team of support specialists. You should hear from someone soon in a message directly to your email! I just started my preparation 1 day ago. What do you recommend for me. I am planning to give GRE in April End or in first half of May. Hello! I am interested in purchasing the Magoosh study program. I am wondering if you believe it is in my best interest to purchase now or wait until after the holidays. I am traveling Nov 23-27 and Dec 22-Jan 1. I am worried that this will interfere with studying. Should I still start the study program now or wait until the beginning of Dec? Not sure if skipping a few days will hurt my study strategy. Thanks! Hi!! I’ve already taken the GRE three times and even though my scores aren’t that bad I still need to get at least 7 extra points to have a competitive score on the program I want to apply to. I’m wondering if I should give the GRE one more chance or change to GMAT, do you have some recommendations abounmy situation? A student’s ability to score 320+ in the GRE depends on his starting point, affinity for the test, work ethic and study materials. Many students want a 320+ score, but not all are able to achieve it. Two months is enough time to learn about the test and prepare for it, but there are a lot of factors that determine whether or that is enough time to reach your target score. 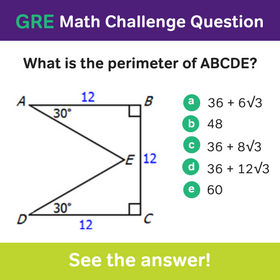 I recommend that you check our our GRE Diagnostic Quizzes, which will give you a good sense of your level and how long you should prepare for the GRE. Our expertise is in test prep, not admissions advice, but we generally advise students to complete their standardized tests at least a month before their application is due. This allows time to craft a strong application. If you’re applying to a US school as an international student, you can check out this timeline that might be more specific to your situation. In any case, you should make sure that you know the deadlines and admissions requirements for all of your target schools so that you are prepared! Hey,I have already taken the gre and scored 298 and I’m retaking the exam by September.Any tips you can give me in verbal ? Hi! I am not applying to graduate school until fall of 2019. I am working a clinical research position from now until I matriculate into graduate school. With my work schedule in mind, I have 90 minutes a day to dedicate to GRE Prep…but I can stretch that further if need be. I am debating on whether I should do a 3 or 6 month study plan? Realistically, I can shoot for both…but was wondering if one is generally recommended over the other? Let me know if you have any advice.